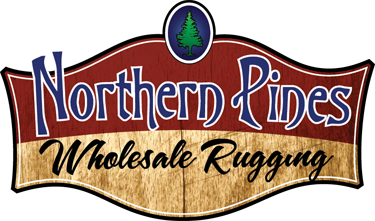 At Northern Pines Wholesale Rugs we look forward to your business. For customers wanting to ship tanned hides, ship direct from your the tannery to Northern Pines. Separate your hides for rugs, so you can save money on shipping. Click the link below to print a shipping label. Click the packing slip link to print an order form packing slip. 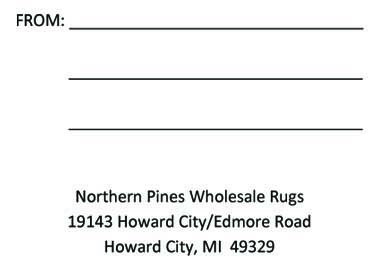 If you are in the area and want to save on shipping, drop off your rugs during normal business hours. After hours appointments must be scheduled before hand.